And it 'looks so beautiful when it is angry'. Love his/her little 'angry" eyebrows! The caption made me laugh, even if the bird seems angry. Thanks! 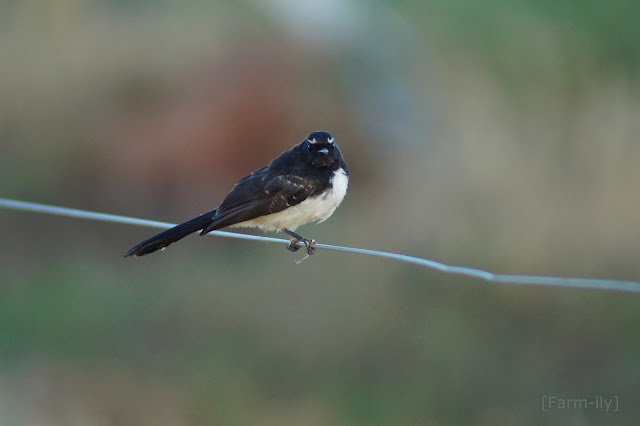 Contrary to me labelling him "angry" because of his eyebrows, Willy Wagtails are far from an angry bird. They are delightful and very curious birds. Previously I have called them the overseer because they are a constant companion, a few steps ahead, watching over whatever we may be doing. At least he sat still for you. Wow, it does look like it is angry! Funniest thing I ever watched was the way Willies can harass big tough kookaburras! Great shot Lynda!